We've just received a delivery of some seriously awesome new stuff from the States. The new batch includes animal-themed products featuring characters from movies and TV shows including Teenage Mutant Ninja Turtles and, ahem, Sesame Street. I know what you're thinking: ZooHood sells clothing and gifts, all sorts or products and they're really quite amazing, but all products have an animal theme. Including muppets in the mix is perhaps pushing things just a little. After all, are muppets really animals? Well we've been debating this very question today, and we're about 59% satisfied that yes, muppets are indeed animals. They're certainly not vegetables, nor minerals or machines. And if they're not people then they must be animals. Or at least so goes our logic. Regardless of whether muppets and monsters are animals, we're chuffed to bits that we did what we did, because these products are seriously cool. Check them out and let us know what you think! 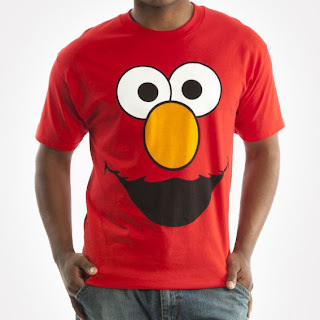 This is the Elmo 'Big Face T-shirt, much like our popular Big Face Animal T-shirts, but of course featuring Elmo, probably the cutest guy on all of Sesame Street. It comes in 3 adult sizes and in just one colour: Red. 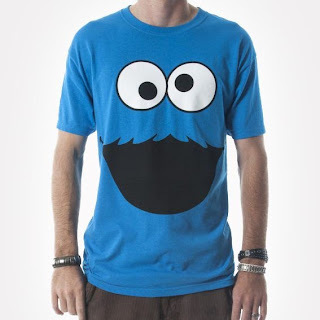 The Cookie Monster T-shirt is sure to be popular too. His manic cookie-crazy eyes and grin are sure to go down well on any chest. The T-shirt comes in 3 adult sizes. Oscar the Grouch appears on this T-shirt and it's a similar set-up. 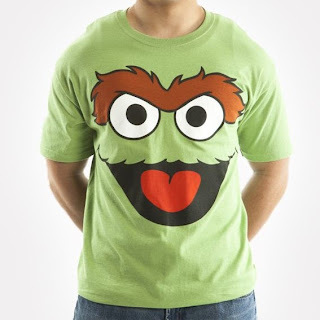 Oscar's face covers the chest of the shirt turning your torso into one massive grouch face! Again it comes in 3 different adult sizes. 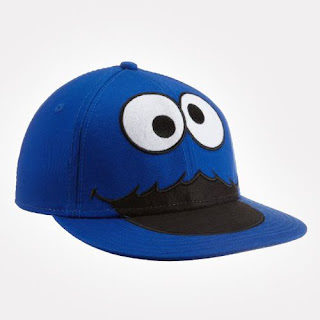 The Cookie Monster Cap is a thing of beauty too - the bright blue will match most looks and the Cookie Monster face is guaranteed to raise a smile. It's designed for adults but has an adjustable fastening so should fit most heads. 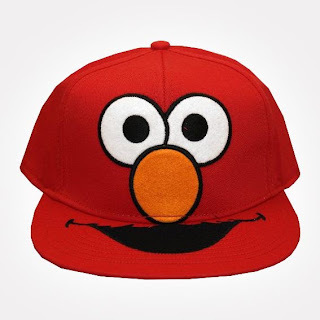 Lastly here's an Elmo Cap, which when combined with the Elmo T-shirt above will give you the ultimate Elmo-tastic look. Again, it's designed for adults but has an adjustable size. All Sesame Street products can be viewed here, and we'll be adding some more soon. Would you like one of these products? Let us know what you think in the comments below.